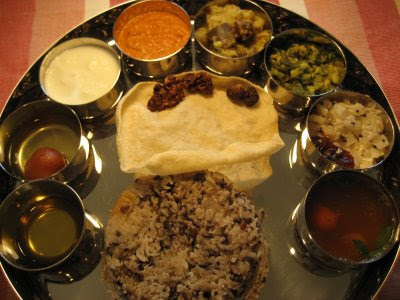 My son has become so obsessed with vegetarian thali nowadays. 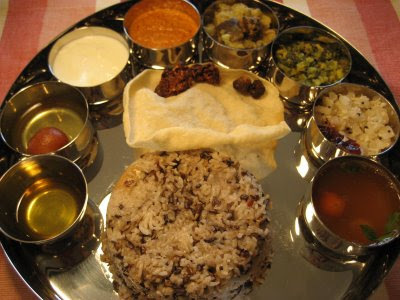 When he was in India for summer vacation, he would go to restaurants several times a week just to have veg.thali. He told me over the phone very often that he had a big lunch for just a dollar(rs->$). Here is my version of the same .